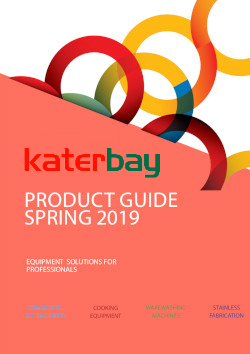 Katerbay, founded in 2002, to supply and service a complete range of Catering and Refrigeration Equipment suitable for Caterers, Publicans, Hoteliers Convenience Store and Filling Station operators. Our Equipment includes Cooking Appliances, Refrigeration Equipment, Beverage Machines, Warewashing and Fabrication... Extraction Canopies, Stainless Steel Work Benches and Wall Shelves. In addition to friendly advice, we offer the most up todate Autocad 2018 in house design to any customer. Our central warehouse in Claremorris stocks a wide range of leading brands for next day delivery. In addition our fabrication factory can make special items as needed to complete your job. Our spares department carry extensive stock from over 40 leading manufacturers. Our Service Team can cover every area of Refrigeration, Electrical and Gas requirements - whether its a simple installation, technical assistance, maintenance contract or full installation Katerbay is a one stop shop in the Foodservice Equipment Industry. Acquisition of equipment can be made easier if the cost is spread over 1, 2, or 3 years, depending on your budget and status. Easy monthly payment reduces cash flow problems and often makes good financial sense. Please ask for details.